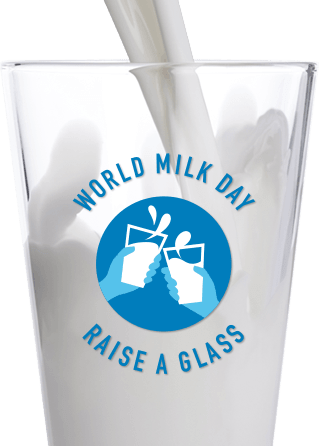 In 2001, the Food and Agriculture Organisation of the United Nations (FAO) selected June 1st as World Milk Day, which celebrates the important contributions of the dairy sector to sustainability, economic development, livelihoods and nutrition. The Global Dairy Platform is coordinating global celebrations on June 1, 2018. . .
Fonterra is offering the chance to win a year’s supply of milk – follow the link here. This entry was posted on Friday, June 1st, 2018 at 10:30 am and is filed under business, environment, Farming, food, rural. You can follow any responses to this entry through the RSS 2.0 feed. You can leave a response, or trackback from your own site.